Available Now! What you need to know to ensure you can sell your business for what you want, when you want so you can claim your wealth. Buy it here. Read what the experts and business owners are saying about this much needed addition to exit planning knowledge. Most companies are not saleable in their current state. With the flood of boomers poised to retire and rethinking their futures, many owners think they can find a buyer when they finally feel like selling. With 50% of every business in North America owned by boomers, it is a buyers’ market, and they are choosy. 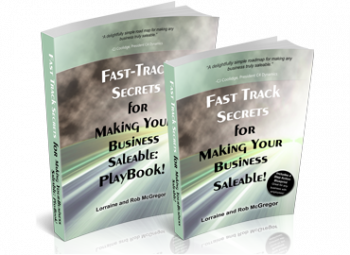 Fast Track Secrets for Making Your Business Saleable is the first book to show business owners what is in the minds of investors and acquirers when they look at buying or financing a company. Owners will learn and develop a plan for the four steps to making their businesses saleable so they will attract the right kind of buyer. 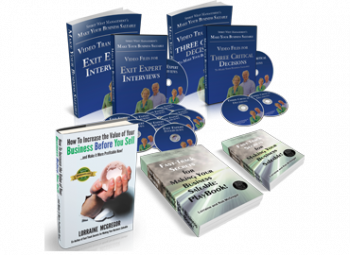 Every Private Client Advisor (or wealth advisor, relationship manager) should provide their clients who own a business, a copy of this extraordinary book…. 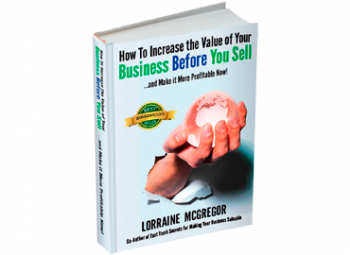 This book is a fantastic breakthrough resource for preparing to sell your business at maximum value. Supply and demand are critical to every business owner. You started your business to be able to supply a product, or service, to fill a need in your marketplace. Once you start to plan to sell your business it’s the SAME thing! You will need to once again become part of the supply-demand chain and if you are not properly prepared, the buyers will quickly move on to a business that is. It’s your choice. No, it’s your responsibility…to actively and aggressively plan for that date one day when you will be ready to sell out to the best possible buyer at the best possible price. In my view, to maximize enterprise value, the key thing the seller needs to have sorted before they start a process to sell their business is to have thought through and implemented an organizational structure that does not include them. Too many times in small owner-managed businesses, the roles and responsibilities are not well-defined and ultimately every key decision comes to the owner or his right hand person. That is not a scalable business model which sophisticated buyers will see and thus feel the need to bring on additional management resources which is an additional cost to the business. I plan on recommending this book to every client who is thinking about selling a business or even just starting a business and wants to build it right from the start. Not only will it make business owners smarter about selling a business, it will make them smarter about running a business!